← Llangynidr Agricultural Show is this Bank Holiday Sunday! Abergavenny’s weekend-long festival of food, drink and foraging already has an excellent reputation and, like good wine, it gets better every year. Expect beautifully stocked stalls, demos, talks and workshops with the programme also including masterclasses from top chefs and food writers including some of Wales’ finest culinary stars. Even the decor – different each year – is a feast for the eyes. Here our some of our top picks from this years programme. Bored of the same old bellinis? Tired of a straight gin and tonic? Want to add a bit of flair to your weekend entertaining? Come and kick start your festival weekend with a stiff tipple or three from Joel Harrison and Neil Ridley, aka World’s Best Spirits. There’ll be plenty of samples to slurp, plus expert tips on how to make your drinks look as top notch as they taste. Tickets here. Join Executive Head Chef from the Bristol Lido, Freddy Bird, and Saturday Kitchen’s Matt Tebbutt for Seafood and Booze! What is better than the smell of seafood, cooking over the campfire on a warn summers day? Seafood with a drink in hand of course! 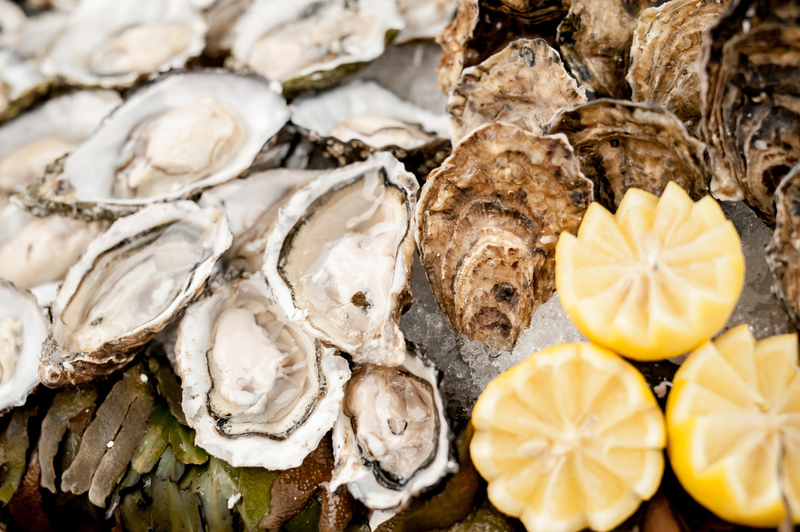 Join Executive Head Chef from the Bristol Lido, Freddy Bird, and Saturday Kitchen’s Matt Tebbutt as they guide you through the perfect pairing of fire-cooked seafood with some of your favourite tipples. Think smoked fish with sherry, mussels and albarino, and an unlikely sounding but utterly delicious pairing of red wine with fish. More information here. In this demonstration, Jack Stein, middle son of Rick Stein, and Chef Director of the Rick Stein Group, shows you three ways with clams, demoing XO clams, Po’ Boys, and clams (instead of mussels) with miso and black beans, to demonstrate how to bring a taste of your holidays to your own kitchen table. Free with festival wristband. Details here. Visitors will have an abundance of opportunities to get their tastebuds tingling, with our programme of tutored tastings taking place in the Corn Exchange above the iconic Market Hall. Each tutored tasting will be presented by farmers and chefs, and aim to get people thinking about how different methods of food production effect taste and flavour. Topics being explored will include: mutton tasting with chef Cyrus Todiwala, a ‘Got your Goat’ tasting with James Whetlor of the award-winning Cabrito Goat Meat, ‘Beef Over Time’ with farmer Tom Jones and seasonal fish with BBC Food & Farming Award winners The Seafood Shack. More here. Entertain the kids with free children cookery classes! We’re delighted to offer a new kids cookery school for this year’s festival, in association with Rougemont School and Cook School. Find them in our new Castle Street Market, where they will be offering free kids cookery classes throughout the weekend. Cook School is a social enterprise inspiring children to cook, enjoy and share their experiences with food. Cook School was founded by leading food educator and award-winning children’s cookbook author Amanda Grant to teach children to cook, inspiring them to inspire others. Our belief is that children who are able to cook are more likely to eat healthily. The course also teaches nutritional information and healthy lifestyle choices. Find out dates and times here. A glorious market dedicated to the very best producers from across the UK. There will be many Welsh food and drink producers, selling delicious local produce. There will be stalls spread across several indoor sites in the centre of Abergavenny and throughout central streets, and this year will be just a big! There will also be a Farmers’ Market with interactive stalls where you can buy and try farmed ingredients, and discover more about different farming methods. The Angel Hotel provides the perfect location to have a welcome sit down after picking up lots of goodies at the stalls in the Festival. Their Foxhunter Bar features local ales and ciders and for the more adventurous, the cocktail menu features both classic cocktails and Angel originals – The Hendricks, Manhattan and Cosmopolitan to name but a few. 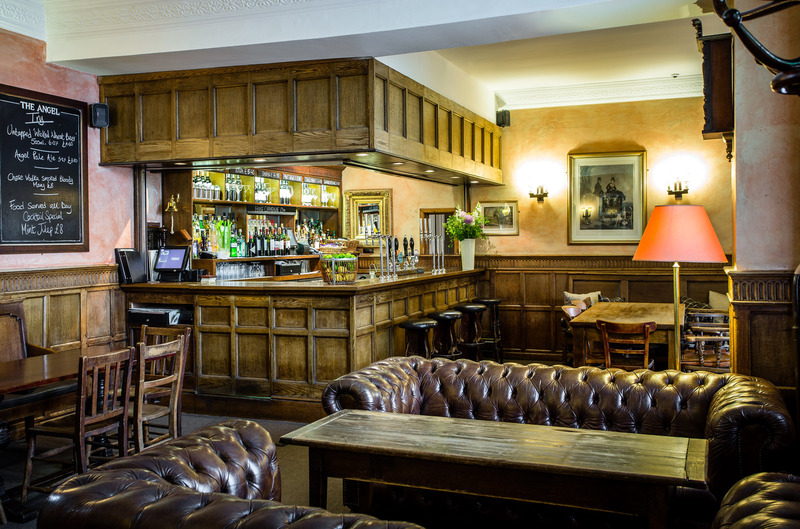 If you wish to mingle with locals over a pint of Hereford Pale Ale, enjoy a glass of wine by the open fire or grab a tasty bite to eat, The Foxhunter Bar provides comfortable, stylish surroundings which you will want to revisit again and again. It’s a perfect end to a day out at the Festival. We’re all partial a bit of smoked salmon, but have you ever wondered what the process behind the finished result is? And what other food apart from fish can be smoked? Join Jonathan from Black Mountains Smokery as he guides you through the journey of the smoking process. The smoking and curing of foods is a traditional craft, with incredible care required at each stage of the process from sourcing and selection of materials through to the skills required for the smoking process itself. From the wood chips to the curing process, you’ll learn about the history of smoking, the different steps along the way, as well as finding out about the differences between hot and cold smoking, and learning about how these techniques are used in their modern custom-made kilns. There’ll be plenty of chance to sample a variety of smoked products too – from traditional smoked salmon to oak roasted salmon, smoked chicken and duck, as well as some really rather moreish smoked cheese. More here. And there is SO much more! This years Festival takes place on the 15th and 16th of September. Find the full lineup of events and more information here. This entry was posted in abergavenny food festival, food and drink, Uncategorized and tagged abergavenny food festival, Cocktails, Cookery classes, food, Jack Stein, Matt Tebbutt, Seafood, wales. Bookmark the permalink.